A Story of "True Grit"
In the wee hours of the morning on 4 September 2010 the owner of popular hair salon True Grit was awoken by an early phone call while on holiday. 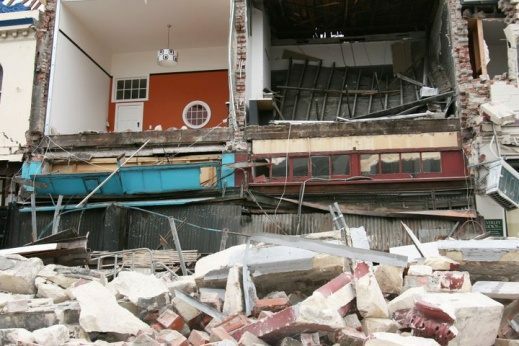 She was soon to find out that Christchurch had been hit by "the big one", a magnitude 7.1 earthquake. Jacqui, the owner, quickly returned to Christchurch. Fortunately she had all of her employees' phone numbers in her mobile and her first call was to her IT administrator. It was critical to find out what they needed to do to get access to their data (the server was trapped in the Manchester Street salon of course). Over the remainder of the day the two of them were busy. Jacqui called other salon owners who she knew to see if they had space for her. The administrator was busy getting the IT system back up and running, with the help of their Wellington based provider who maintained a data backup offsite. As soon as the system was back in operation they were on the phones contacting all of the clients who had bookings for the following week. 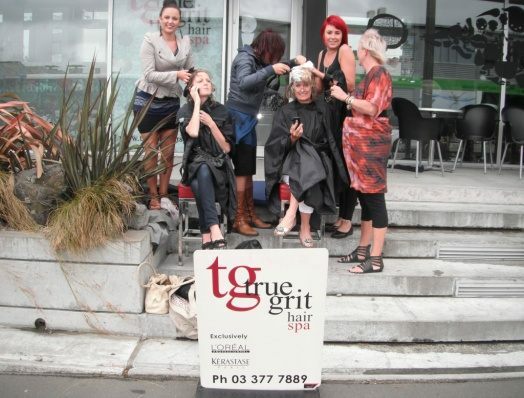 They rebooked them to a temporary location which Jacqui had organized with a friend and fellow salon owner and assured the clients that they would get the special "True Grit" treatment they were used to. Within a few days Jacqui and the team were able to gain access to their building on Manchester Street in the Christchurch CBD. The hair salon, providing employment for 20 people, was not looking good. Inside everything from hair dryers to styling product were on the floor. The cracks in the walls inside and out were a real worry. Thankfully no one had been inside when the earthquake hit the old brick building. Over the next few months True Grit would shift location twice, finally settling in a new modern location on Tuam Street on the edge of the Christchurch CBD, with hopes of repairing the Manchester Street building. Then came the massive quake on 22 February 2011. The new Tuam St. location was well built, but nothing felt safe on that day. The Manchester St building collapsed and would never be repaired. Once they had evacuated Tuam St, emergency services put the cordon in place and they couldn't get back in the building for a couple of weeks. Then Jacqui and the team were permitted to temporarily re-enter Tuam St and reclaim their equipment and products, and move the fridge onto the street with its stinking mess of rotten food! They purchased a new fridge, cleaned up the chaos in the salon and then reopened. Over the following 12 months four more moves in and out of Tuam St. would add to the frustration and disruption as Jacqui and the team had to deal with aftershocks, building repairs and damaged nearby buildings. People are you most important asset in good times and bad! This goes for your employees as well as established relationships in the industry. Get a business and leadership mentor, it will pay huge dividends in both business-as-usual and in a crisis. You need to have an easily accessible list of all staff, and other employees should have an up-to-date copy, not just the owner/manager! A quality insurance policy with a reputable insurer is well worth the cost and effort. Have a backup off site for your IT data and systems.